A pungent seasoning made from dried, salted shrimp that's been pounded into a paste. 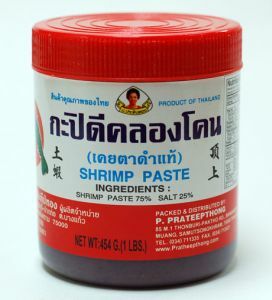 Shrimp paste gives Southeast Asian dishes an authentic, rich flavor. The salty shrimp taste mellows during cooking. In a pinch, substitute anchovy paste, though it's not as boldly flavored.